Melbourne gastropub The Burnley is finally about to commission its in-house brewery, completing a long-held ambition for co-owner Neil Mills. 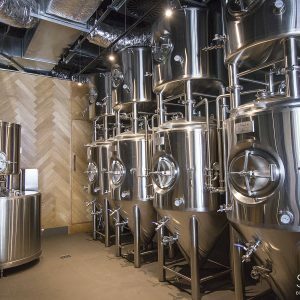 The Richmond venue, which opened last November, is about to run its first brew through its K500, a two-tired 500hl brew tank pioneered by Spark Breweries. Mills said the project was delayed when he and his business partners had second-thoughts about how 1000-litre system that they first purchased would fit into the gastropub. 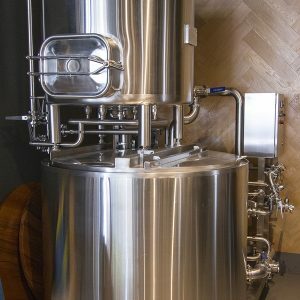 Having established their Burnley Brewing brand by guest-brewing elsewhere to supply the Richmond taphouse, they saw the demand for their beers and so had the confidence to keep the 1000-litre system and use it as a production brewery, while instead installing the 500-litre system on site. The 1000-litre system has been installed in a facility in Dandenong, where they have been brewing since April. Mills says the pivot has worked out well, giving them more room in the restaurant, “leaving the noisier stuff in the warehouse”. 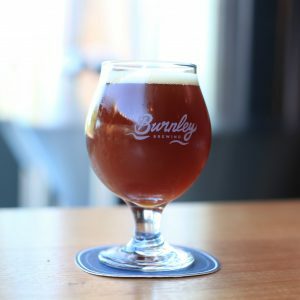 Together with his business partners, Mills had been establishing the Burnley Brewing brand by guest brewing right across Victoria since November last year. He says it’s a relief to be able to brew in one spot and not be driving around the State with sacks of malts and kegs. “Brewing with our friends gave us confidence in what we were doing, and showed us that there was a demand for our beers,” Mills said. However, guest brewing often meant that Mills had to brew greater volumes of fewer beers than he really wanted. Mills has always wanted to own his own brewpub, and so with long-time business partner Phil Gijsbers, teamed up with Renton Carlyle-Taylor of The Milton Wine Shop, Toorak Cellars, The Alps, The Mills and The Moon restaurants and bottleshops. 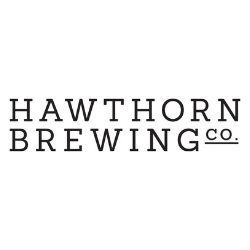 With the initially unplanned addition of the Dandenong warehouse as a much larger production hub, it allows the venture to keg for wholesale as well as package limited amounts of their production. It houses a 10hl 2-vessel Spark brewhouse and five double-batch tanks with more on the way. “Basically, just packaging cans or bottles in a restaurant wasn’t going to work and we sort of did want to get the beer out there,” Mills says. 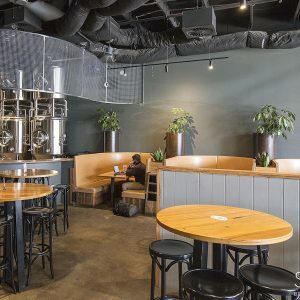 The Richmond brewpub will act as a secondary brewing facility, but with a speciality serve-on-site model with the benefit of being public facing. 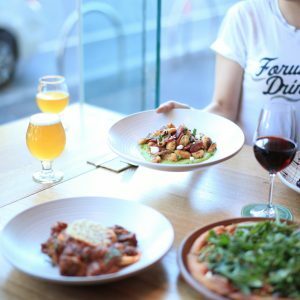 Mills describes the brewpub as a modern take on Melbourne’s pub scene and is keen to create an atmosphere that caters to everyone. “I reckon there’s a risk with the kind of pointy end of the craft beer scene that it gets a bit exclusive,” Mills says. Mills wants his customers to feel comfortable sitting at the bar and asking a few questions about the beer. He hopes that his big chunky hardwood bar is going to be the hero of the space. The new model Spark K500 along with four stacked fermenters with brite tanks on top will feature in the venue. “The K500 is designed to be an inexpensive, compact, professional brewing system,” Spark engineer Julian Sanders explains. 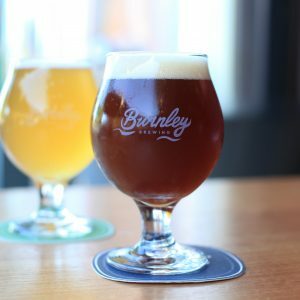 “It’s designed to look good, while allowing brewers to brew and serve on site without needing to keg the beer,” he says. Mills says that the K500 just gives them flexibility. Burnley Brewing has enlisted Michael Stanzel as head brewer of both its Richmond Brewpub and Dandenong Brewery. Stanzel is the first Australian to attain the Brewer and Maltster apprenticeship accreditation exclusive to Germany. 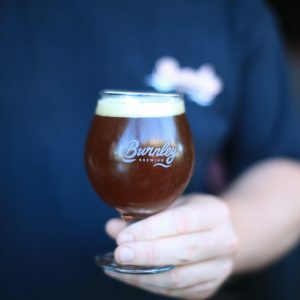 Burnley Brewing is located at 648 Bridge Road, Richmond. 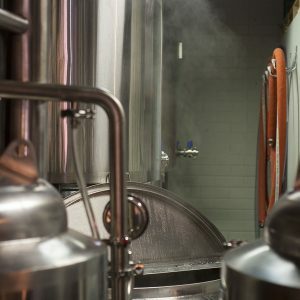 Brewery openings are presented by Melbourne-based Spark Breweries and Distilleries, the finest in Australian quality commercial brewing and distilling equipment.